Metal mesh is screen printing mesh woven from metallic wire or thread. It is usually made of stainless steel, but can also be created from tungsten. 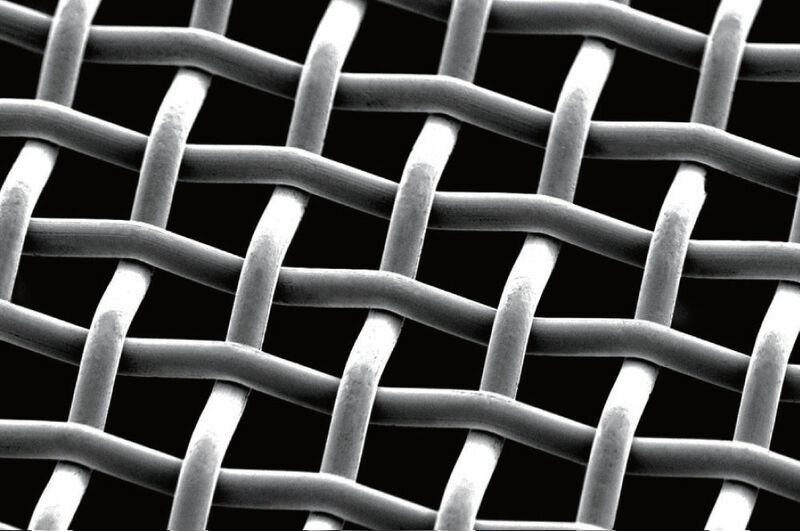 Metal mesh generally provides improved dimensional accuracy, higher screen tension, and increased repeatability. 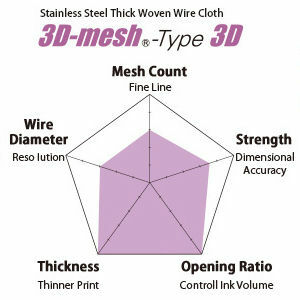 MS Mesh features excellent dimensional accuracy and printing durability by using material with 30% improved tensile strength over standard BS Mesh. 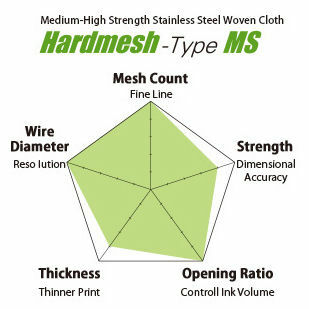 MS Mesh is designed for fine line printing and can lay down 30 micron electrode lines in touch panel printing. Additionaly, newly developed 640 and 740 mesh are ideal for MLCC applications. 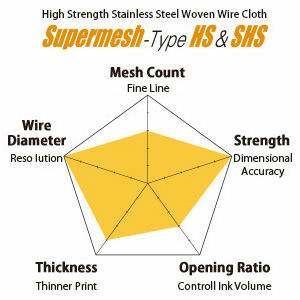 BS Mesh is a standard mesh with a 25% higher tensile strength than conventional stainless steel mesh. As a standard mesh for screen printing, it has been adopted for wide use in applications such as fine line or thin deposit printing for MLCC. 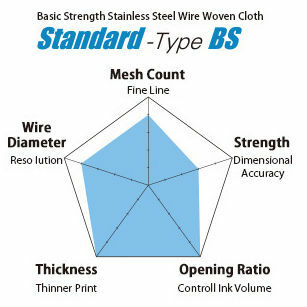 M-10 is NBC’s standard stainless steel wire mesh produced with rigorous quality control. It is widely used for many precision screen printing applications such as printed circuit boards, membrane switches, solar cells, ceramic packages, capacitors and more. The reliable quality and print repeatability are well recognized within these high-end markets. M-13 is an upgraded NBC stainless steel wire mesh woven with 30% stronger stainless steel wire compared to standard stainless steel wire. The extra tensile strength of M-13 achieves higher screen tension and optimizes printing parameters for further improvement of dimensional accuracy, and prolongs screen service life. W-40 metal mesh is woven with tungsten wire, which has greater physical stability and print repeatability than even NBC super stainless steel wire mesh.